An audio interface is a piece of studio equipment that improves the sonic quality and capabilities of your computer. Audio interfaces come with a variety features and the more money you spend the better the features. So making sure your audio interface has the features you need to produce the highest possible sound quality is a must. The follow audio interfaces are some real heavy hitters and are sure to meet all of your needs as you get started producing great material. The Mackie name says enough! The Mackie 402 VLZ4-Channel is one of my personal favorites. Aside from the fact that the mic preamps in this little beast holds clout throughout the music industry, the price point alone makes it a must have addition to your DIY home studio set-up. At only $99 I know your probably thinking what’s the catch. Well hate to break it to you but there isn’t one! · Includes Mackie's industry-proven Onyx preamps for crystal-clear sonic clarity. · Built Like A Tank! Made to keep on working no matter what gets thrown at it. Features like a nearly indestructible steel wrap-around chassis makes the Mackie VLZ4 mixer a solid investment. · You’ll need RCA cable adapters to connect directly to your desktop or laptop. The Focusrite Solo is another interface that bears the brand of some of the industry’s most well known juggernauts. 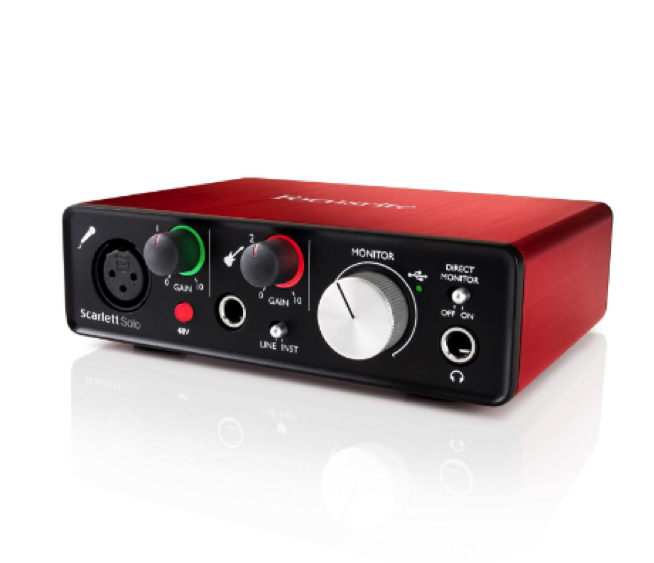 Focusrite is known for its award winning mic preamps that produce a sound quality that is second to none. And the Focusrite Solo is no different! · Very portable and well built. Last but not least amongst my top picks for quality audio interfaces you have the Behringer U-Phoria UMC202. This audio interface can be summed up in one word…SOLID! With its world class Midas designed mic preamps and +48 phantom power. This audio interface has one job and that’s GET BUSY!! Now so far we’ve discussed three essential pieces of hardware and software needed to be able to produce your very own musical masterpieces. But with all the thought and effort put into selecting just the right equipment: what good would it do you if all the cool features that you’ve researched and paid for just got lost in the playback? That’s right, you guessed it…NONE! So that brings us to the next staple piece of hardware in our DIY home studio setup.